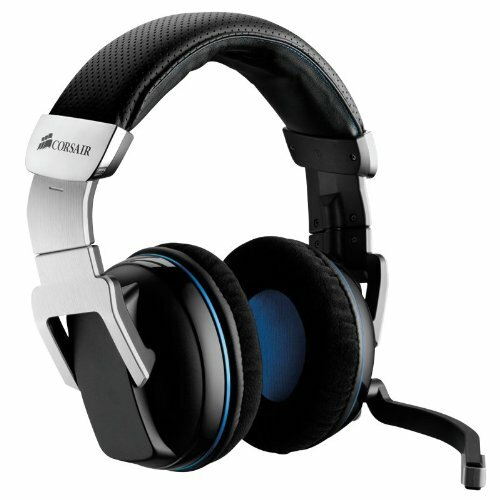 Corsair Vengeance2000 delivers wireless freedom, high-quality 5.1/7.1 surround sound technology, superior audio fidelity, and outstanding comfort. Up to 40 feet of range and 10 hours of battery life. Optimized HRTF technology provides positional audio cues for immersive gaming. Large 50mm audio drivers tuned for tight bass response. Noise-cancelling mic.